On Wednesday 14 December 2016, on behalf of the RADIO consortium, the Technological Educational Institute of Western Greece (TWG) officially opened the doors of its Ambient Assisted Living House (AAL House) for the first time to the public. 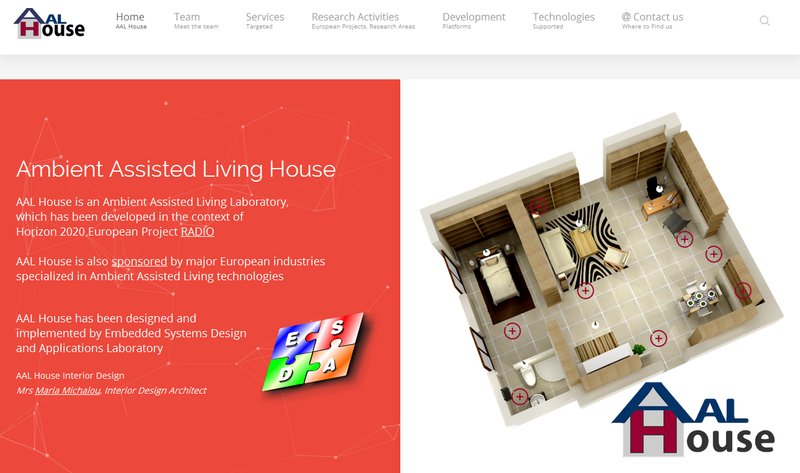 The AAL House, situated in Nafpaktos, Greece, is a fully equipped 60m2 apartment which has been developed in the context of the EU Project RADIO in order to exhibit technology developed during the project. Partner Embedded System Design and Application Lab (http://esda-lab.cied.teiwest.gr) of the Technological Educational Institute of Western Greece has developed the space where RADIO technology has been installed and tested. Apart from the RADIO robot, Turtlebot2, the Ambient Assisted Living House allows constant non-obtrusive monitoring and support of its residents via the latest sensor and robotic technologies. More information is available at http://aalhouse.esda-lab.cied.teiwest.gr. The AAL House is open to the public for visiting. During the visits, TWG’s personnel explains the major concepts of the RADIO project through self explanatory demonstration scenarios. The opening of the AAL house gained wide coverage on Greek Media.